Based on a blueprint by Kwan Sai Kheong and sculpted by Lim Nang Seng, the 8.6-metre-tall Merlion Statue was first unveiled on 15 September 1972 by Singapore’s late founding Prime Minister Lee Kuan Yew, and was relocated to its present location in 2002 after spending 30 years at the mouth of the Singapore River. Its original emblem was first devised by Fraser Brunner, then curator of the Van Kleef Aquarium in 1964 for the Singapore Tourist Promotion Board (STPB; now known as Singapore Tourism Board). 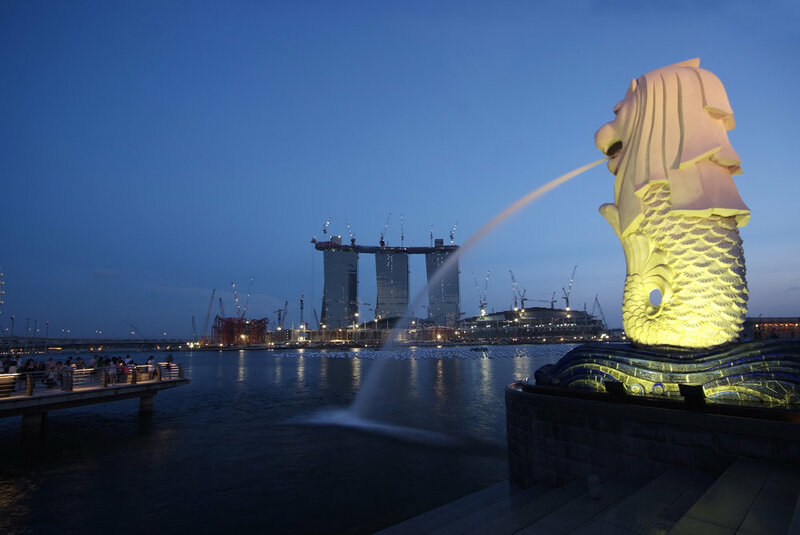 With the head of a lion and the body of a fish, the Merlion is a mythical creature based on historical legend. The fish in its design alludes to the idea of Singapore’s beginnings as a fishing village, while the lion refers to the sighting of a lion in Temasek by a prince from Palembang, Sang Nila Utama, as narrated in the Sejarah Melayu, leading him to rename the island Singapura (“lion city” in Sanskrit). 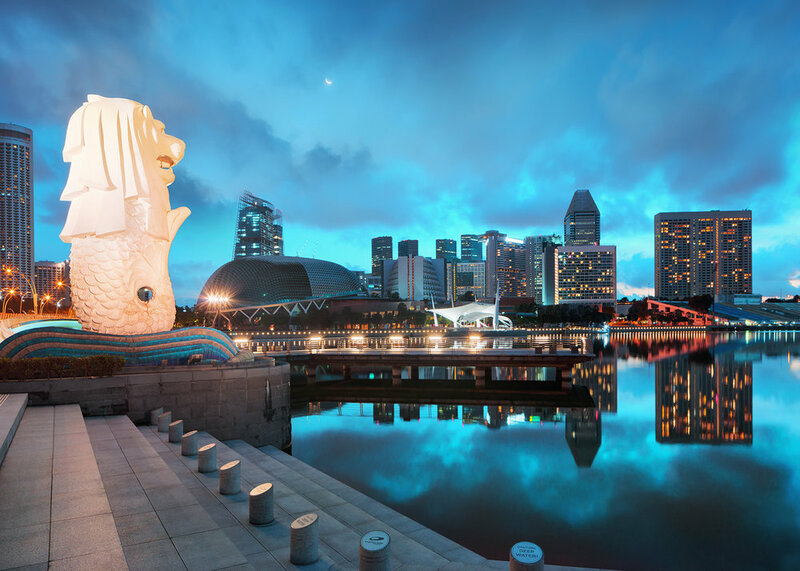 The Merlion park is a 5 minute walk along the Marina Bay Waterfront Promenade from The Esplanade Theatres.